I have no idea who these people are, but I like the way the photo turned out. I spent much of the afternoon sitting in my car, grading papers and working on a project for my regular job. You could say I took the day off to get some work done! 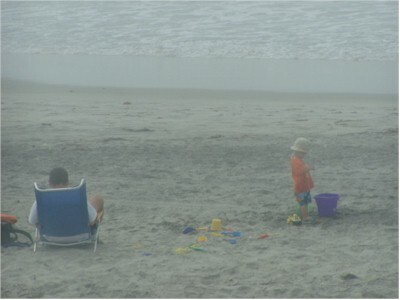 It was a nice cloudy day at the beach, and quite hot inland closer to our house. I was glad to be at the beach.